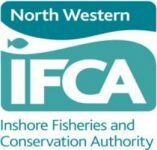 The North Western Inshore Fisheries and Conservation Authority (NWIFCA) was formed in 2011 under Statutory Instrument 2200 (2010) following the Marine and Coastal Access Act 2009 (MaCAA). It merged the previous Cumbria Sea Fisheries Committee and North West Sea Fisheries Committee into one district. All Inshore Fisheries and Conservation authorities share the same vision: “to lead, champion and manage a sustainable marine environment and inshore fisheries by successfully securing the right balance between social, environmental and economic benefits to ensure healthy seas, sustainable fisheries and a viable industry”. Meeting of the Technical, Science & Byelaw Sub-Committee. @cumbriawildlife Ran this past an IFCO. They're cages used for growing oysters.